Mr. Gonzales has more than 40 years of experience in the petroleum industry, having previously owned and operated his own abstracting company in Santa Fe, NM. He is currently the general manager of American Abstract. Mr. Gonzales is well known for his expertise and professionalism in all aspects of dealing with federal and state lands as it pertains to the creation of federal drilling units and the associated reports for integration of state and Indian lands. He has mastered all operational aspects of running a full-service abstract company and has trained some of American Abstract’s employees and managers. 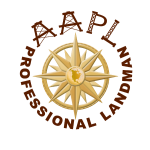 Mr. Gonzales’ experience is respected with the New Mexico Oil & Gas Division and the American Association of Professional Landmen. He represents companies bidding in federal and state lease auctions. Mr. Gonzales is a graduate from the College of Santa Fe with a bachelor’s degree in Business Administration. 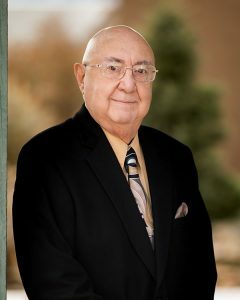 In addition, he was a member of the New Mexico Oil & Gas Association. His professional knowledge and experience will maintain his integrity in the industry for many years to come with American Abstract. 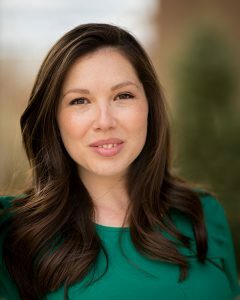 Ms. Lara began her career in oil and gas at an operating company in Roswell, NM. 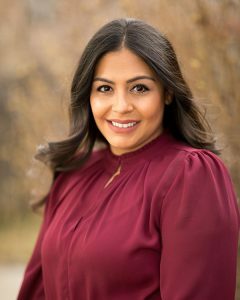 She attended the University of New Mexico in Albuquerque where she received a bachelor’s degree in Business Administration with a concentration in Finance. Ms. Lara was trained by Mr. Gonzales in preparing Exhibit B reports and creating federal abstracts while working at his former company. Ms. Lara has over six years of experience working daily with the federal records at the Bureau of Land Management as an abstracter. Ms. Lara will be working directly with Mr. Gonzales and Mrs. Thompson as part of the management and research team for American Abstract. Ms. Lara will play a vital role in the quality control of our excellent reports and in client relations. Mrs. Thompson was in charge of administrative and managerial duties at Mr. Gonzales’ previous abstract company for over 10 years. She has been hand-picked by Mr. Gonzales to manage the office and clerical tasks of American Abstract. In addition to maintaining an efficient office environment, Mrs. Thompson will be vital in developing and maintaining professional relationships with clients to ensure they are satisfied with the services provided by American Abstract. Mr. Rowe is our primary abstracter for NM state lands and distinguished himself in this task at Mr. Gonzales’ previous company. 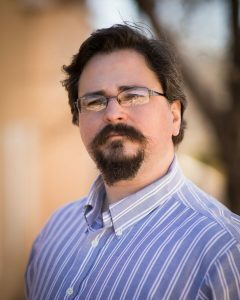 Mr. Rowe holds a master’s degree in Business Administration from Claremont Graduate University in Claremont, CA and a bachelor’s degree from the College of Santa Fe. He will be researching and preparing abstracts for NM State lands.